Finely chop gherkins and onions. A food processor works well here. Place in a bowl and sprinkle with a small handful of plain salt. Leave overnight. The next day pour off excess liquid and bring to boil with the sugar and 750 ml of the vinegar. In a separate bowl, mix flour, mustard, curry powder and the rest of the vinegar. Add to the gherkin mix, and stir well. Cook gently for 20 minutes, stirring frequently as it can burn on the bottom. One of the things I love about social media is I can carry on a conversation with great gals like Sarah who gardens in New Zealand basically anytime. 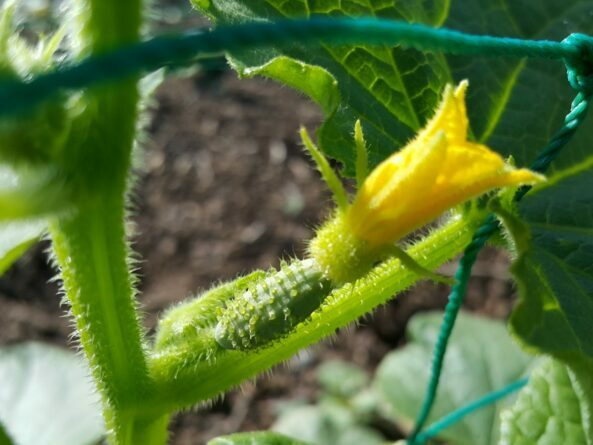 When I asked Sarah if I could share her recipe she ran out to her garden and snapped a few photos of her beautiful cucumber crops. In New Zealand they are just starting their summer season as we wait for winter to arrive. Another bonus with being connected with talented gardeners online from around the world is you get to enjoy gardening year-round. New Flowers on the Vine! 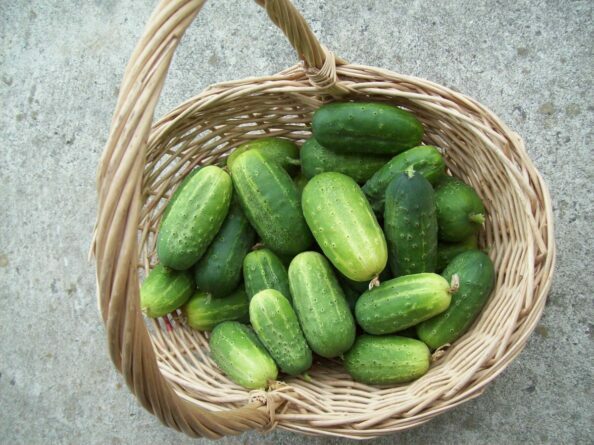 Do you enjoy growing cucumbers? What do you do with your harvest – please comment below so we can connect. Thanks Bren for your kind and lovely words and thanks for the book review. I love being opposite to everyone else, so I can borrow Northern Hemisphere sunshine during my winter and then return it during my summer. I may have to make up a batch of the strawberry Christmas mince pies as I have loads of strawberries at the moment! I hope you will share the strawberry Christmas mince pie recipe on your social media…. sounds wonderful!!! !